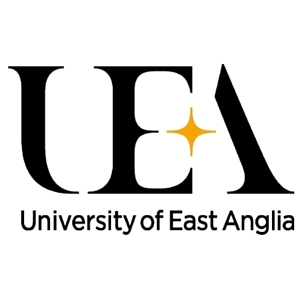 Study at UEA Law School and you will be joining a School that excels in its dedication to offer intellectually diverse, varied and stimulating postgraduate courses, supported by a wide ranging selection of subjects or modules taught by leading experts. The School is based in Earlham Hall, a building of significant historical importance, built in 1642 but recently refurbished, where most of the postgraduate LLM teaching takes place - it will therefore be your home for your period of study. Each year we welcome around 100 postgraduate students from a wide variety of geographical and personal backgrounds, and it is the vibrant and dynamic community they create that completes the student experience. We place significant emphasis on choice, building your confidence, maximising your employability and developing adaptable transferable skills. We believe small group teaching at postgraduate level is important and we aim to keep class sizes low, offering you an unparalleled personal teaching environment with access to our team of international specialists drawn from academia and practice. We also believe practical and careers experience is extremely valuable and we’ve developed a programme of opportunities tailored specifically to the needs of our postgraduate students, including placement opportunities for both UK and overseas students. During your course, you can apply for one of 50 internship placements. You can also attend careers panels, commercial awareness workshops, mock job interviews, our annual Law Careers Fair and many other events organised by the UEA Law School and the Careers Service. Law Masters (LLM) degrees are increasingly seen by employers as a means to distinguish applicants. Our graduates have progressed to a wide variety of successful careers, from private practice to government legal departments and international organisations, from universities to industry and commerce. Visit the LLM International Trade Law page on the University of East Anglia website for more details!